It was not a concert, but there were 2 concerts. Tom enjoyed both of them, I only one. It was our first experience with the new distributor and I can only count it positive, no doubt. It is amazing how two people in the same business might have that different way of doing and different stiles in their work. 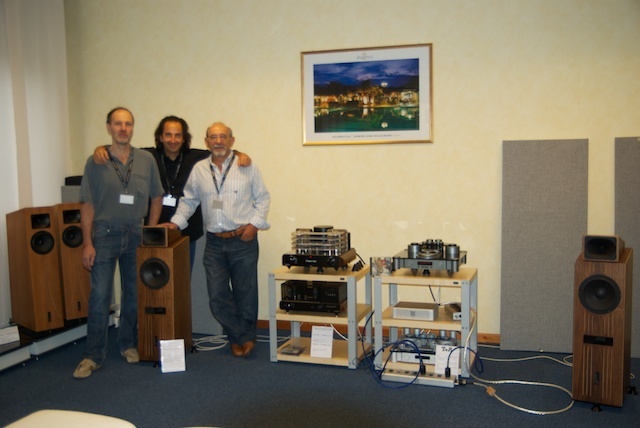 And then really really a lot of very charming meetings with new and old friends congratulating for the sound in our room: no surprise, we were playing with MastersounD 845 Compact and T+A CD Player on Nordost cables, only the best. On our side, we brought a Genuin FS 3, which played, the Fun 17 and the Genuin FS 4.2 have only been shown statically. In the showroom there was a Satellite Mini as well, lot of people asked us if we plan to produce it again... who knows.